We are one of the renowned Exporters, Importers and Suppliers of Emporia Life Plus Mobile Phones in London (United Kingdom). The Emporia Life Plus Mobile Phones, offered by us, are easy to use for the people with partial sight and hearing abilities. 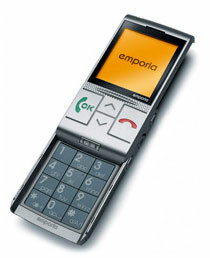 The Emporia Life Plus Mobile Phones have large buttons and their screens have a good display that is easily viewable.